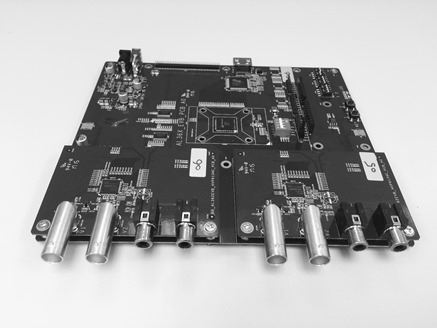 This evaluation board (EVB), AL362B-EVB-A1 demonstrates 4K Quad display function with AHD video input signals. This EVB includes AHD decoders, NPC6134 which supports four HD analog inputs, and NPC6134 function can be enabled through AL362’s internal MCU. Four 1080 30p AHD camera inputs and 4K2K HDMI output.